Henlo frenz is bear. I was give a treat. 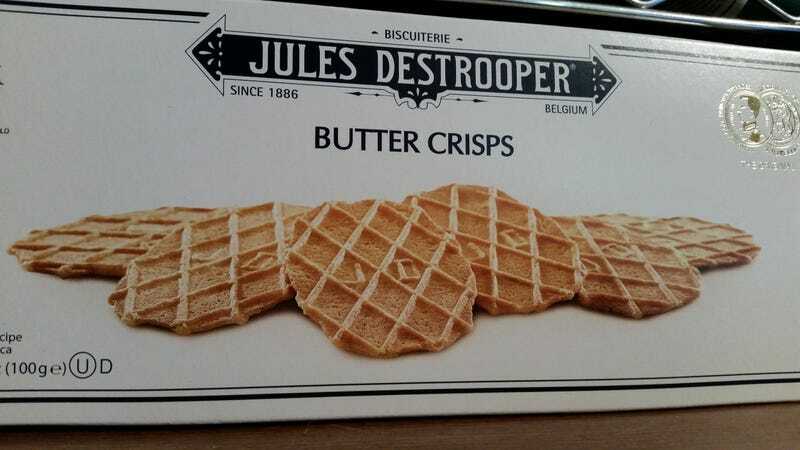 This is butter crisps from Jules Destroyer. These are good look at the other photo and believe me when I say they good. You be sad when they all gone. Only eight buttery crisps in the box. Oh and the cover image is no lie. All the buttery crisps is got they initials. Apology I writer this in phone and I may be slight alcohol.